We have some exciting updates we would like to share with you all on our charity work! The Beehive Project with Wild Survivors has now begun! In our previous blog post where we announced our Conservation Partnership with Wild Survivors, we outlined how beekeeping can be used as a working method to reduce the conflict between the farmers and elephants and create a peaceful co-existence between the two. Since then, the Wild Survivors team have been busy bees (excuse the pun) and have been working with a local enterprise, Dunia Designs to develop the first ‘Greenwood Beehives’. Dunia Designs have implemented a mechanical system for recycling plastic bottles and bags to make a new wood-like product. With the look and feel of timber; Greenwood is lighter, yet more durable with the added benefit of being completely waterproof. 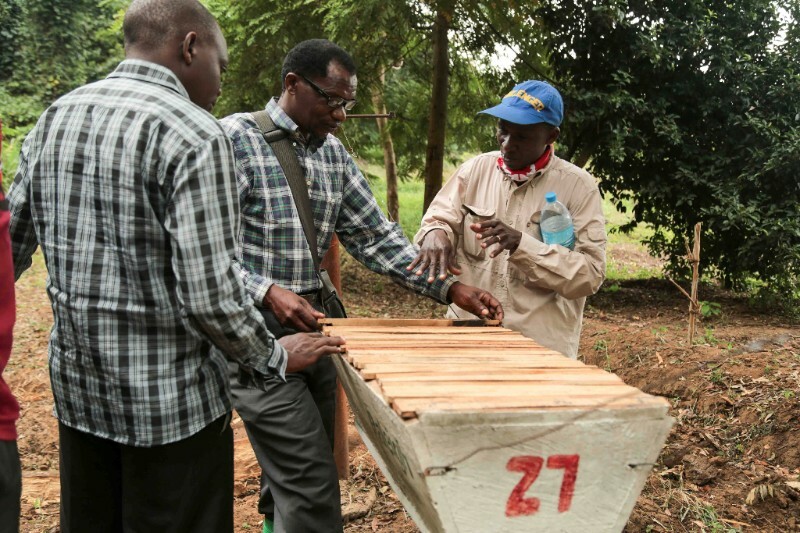 This fabulous initiative with Dunia Designs completes an environmental cycle: clearing waste from the streets of Tanzania to produce bee-friendly hives that will in turn save the elephants and protect farmland. Beehive designs have advanced over centuries, with the goal of easier honey harvesting, and greater yields. Wild Survivors are currently in a crucial stage of testing the new ‘Greenwood’ hives with a wild bee colony. 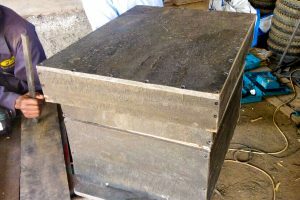 An experienced beekeeper in Arusha has integrated the Greenwood hive within his apiary and with the bees in, we are waiting on those all important next steps to see whether the bees will take to the new hives. Having sought extensive advice from Bees Abroad and Bees for Development (two organisations with vast experience in alleviating poverty in developing countries), through beekeeping there is every hope this will be a success and will allow for this wonderful initiative to move forward. 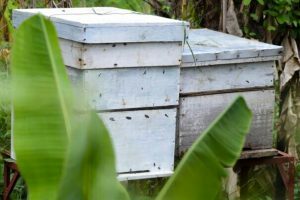 Following the guidance from both organisations, the project beehives (that MorBeans have sponsored through our coffee), will be built as traditional Top Bar hives. 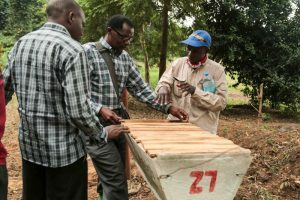 Many farmers have never seen a beehive before so the Top Bar hives are a simpler, more natural design and much more effective for new beekeepers and rural communities to manage, making the whole process more streamlined and easier to execute. By drinking MorBeans coffee, you are helping to support this amazing project and can help assist villagers with their new enterprise and beekeeping training this year. The bees, whose homes Wild Survivors are providing, will protect crops from migrating elephants, as they form a natural barrier against our largest land mammal. Farmland is protected and in turn, elephants are saved from retaliation and pre-empted attacks by villagers. This is just one of many projects Wild Survivors are working on to help protect this magnificent species which we are proud to support. To find out further info keep checking back in for blog updates or visit the Wild Survivors site.